Ahh, these old white label Riversides are a real treat... there's something truly genuine about them. I still get amazed over how an LP from the 50's can be in such superb shape and sound so good. It's hard to describe the feeling when you put a NM copy of a record from the 50's on the turntable and drop the needle and hear the sounds coming out of the speakers... Oh, I got two words for it; complete bliss. 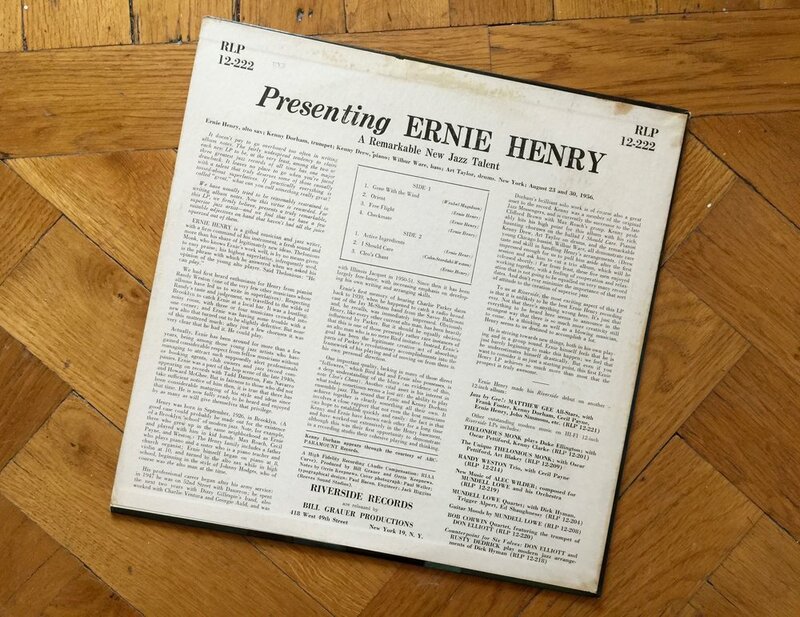 Ernie Henry was an altoist of great talent and huge potential. His life was cut short by a heroin overdose at the age of only 31. Influenced by Bird he went on to create in his own personal direction. He recorded three albums as a leader for Riverside, and this is the first. When you hear Henry play you can't help but wonder how many other great albums he could have recorded if he didn't die so young. But the first two Riverside dates as a leader, alone, are enough to enjoy for a very long time. These two albums are very high up on my favorite albums list. Both are quite difficult to get your hands on as original 1st pressings. I've been looking for the 12-222 for a long time, and now finally I've been able to add it to the collection. I'm of course delighted to now own this great album. I'm pretty sure this one and the other one on Riverside 12-248, are quite underrated and maybe not so well known to many jazz collectors. I could be wrong, but nevertheless, they are superb and should be found in every jazz collection. I strongly recommend you seek out these gems and find out for yourselves how great they are. Apart from Henry, this session is also graced by some other top notch players, such as Kenny Dorham, Kenny Drew, Wilbur Ware and Art Taylor. Pretty much a dream line-up for me. All tunes except two are penned by Ernie Henry. They are all truly great. 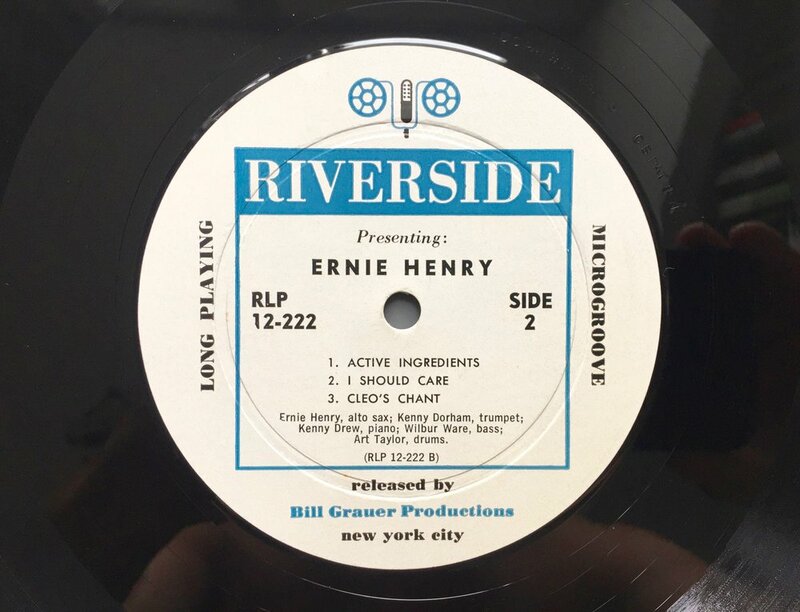 There, now go and seek out some Ernie Henry... Cheers guys!